A decade ago, any mention of a choir would probably have brought Sunday morning hymns to mind. But there’s been a revolution in attitudes towards joining the local choir. Adding well-known, mainstream music to the repertoire, and the increased visibility of choirs such as Rock Choir and Popchoir, have attracted a new crowd to the idea of the communal singalong. 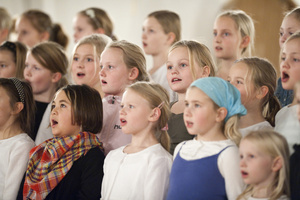 Which is good news – for singing in a choir is beneficial in a number of different ways. 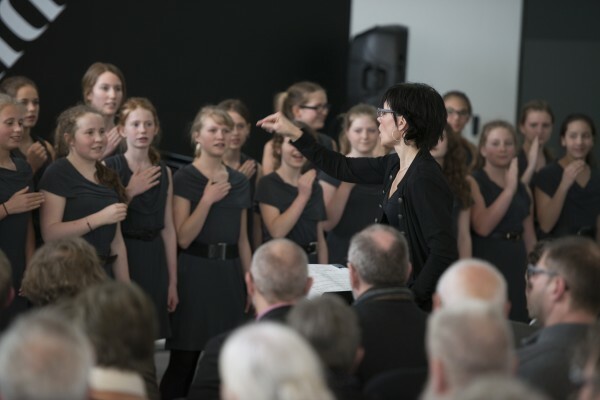 We’ve just published some research that reveals that group singing not only helps forge social bonds, it also does so particularly quickly, acting as an excellent icebreaker. We’ve also shown that community singing is effective for bonding large groups, making it an ideal behaviour to improve our broader social networks. This is particularly valuable in today’s often alienating world, where many of our social interactions are conducted remotely via Facebook and Twitter. But why are so many people flocking to choirs? There’s almost certainly an X Factor effect at play, with people, inspired by TV talent shows, becoming increasingly willing to stand up and perform. It also has long been believed that music-making can create a strong sense of well-being, but since it’s very hard to find a suitable “control” activity, this area is particularly hard to research scientifically. Although this remains a problem, a number of recent developments have helped us to understand how group singing can improve physical and mental health, as well as promote social bonding. The physiological benefits of singing, and music more generally, have long been explored. Music making exercises the brain as well as the body, but singing is particularly beneficial for improving breathing, posture and muscle tension. Listening to and participating in music has been shown to be effective in pain relief, too, probably due to the release of neurochemicals such as β-endorphin (a natural painkiller responsible for the “high” experienced after intense exercise). There’s also some evidence to suggest that music can play a role in sustaining a healthy immune system, by reducing the stress hormone cortisol and boosting the Immunoglobin A antibody. Music has been used in different cultures throughout history in many healing rituals, and is already used as a therapy in our own culture (for the relief of mental illness, breathing conditions and language impairment, for example). Everyone can sing – however much we might protest – meaning it is one of the most accessible forms of music making, too. Song is a powerful therapy indeed. Regular choir members report that learning new songs is cognitively stimulating and helps their memory, and it has been shown that singing can help those suffering from dementia, too. The satisfaction of performing together, even without an audience, is likely to be associated with activation of the brain’s reward system, including the dopamine pathway, which keeps people coming back for more. Singing has also been shown to improve our sense of happiness and wellbeing. Research has found, for example, that people feel more positive after actively singing than they do after passively listening to music or after chatting about positive life events. Improved mood probably in part comes directly from the release of positive neurochemicals such as β-endorphin, dopamine and serotonin. It is also likely to be influenced by changes in our sense of social closeness with others. Increasing evidence suggests that our social connections can play a vital role in maintaining our health – a good social network, for example, can have more health benefits than giving up smoking. So it’s possible that singing can improve health by expanding our social group. Indeed, the rapid social bonding that choirs encourage could therefore be even more beneficial. 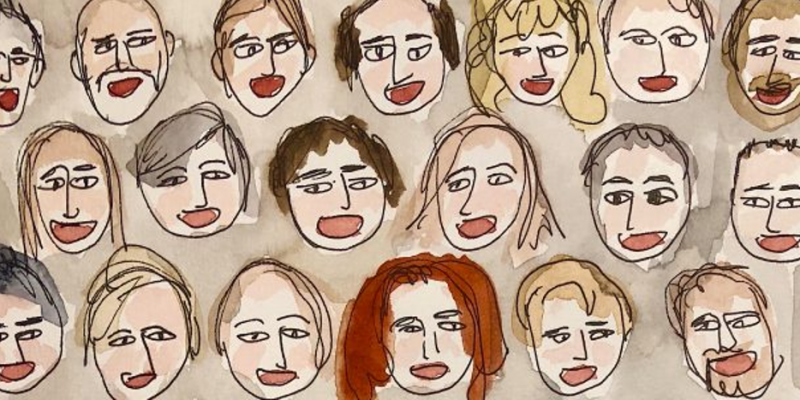 Even if we don’t necessarily talk to everyone in our choir, we might experience a general feeling of being connected with the group, leading to our sense of increased community and belonging. Being part of a cohesive group has been essential for survival throughout our evolutionary history, but being part of a group also raises challenges, such as conflict over resources and mates. In order to survive, our ancestors needed ways to keep the group together through these conflicts. Music is found in all human cultures around the world. The oldest bone flute is 40,000 years old, so music has been around at least this long. This, and the fact that music often occurs in social settings, from religious rituals to football games, suggests that music might be an evolved behaviour for creating community cohesion. In Western societies, music-making is often thought to be the domain of a talented few, but very few people actually have no musical ability. The growth of community choirs open to anyone demonstrates these inherent skills and suggests that we are returning to the origins of communal musical behaviour. In light of mounting concerns about loneliness and isolation and the increasingly urgent search for solutions, it is fascinating that people seem to be returning to an interest in connecting with one another through singing. The evidence indicates that our singing ancestors might have held a key to better social well-being. Singing provides an inclusive and cost-effective means of combating the disintegration of communities that is becoming endemic in many societies today. So whether you’re more into chamber music, the Beatles or Frozen singalongs, finding the right choir could prove the perfect way to improve your health, well-being, and social life.